”We are strengthening profit and the pace of growth is persistently good, with 6 percent organic growth and 10 acquisitions so far this year. 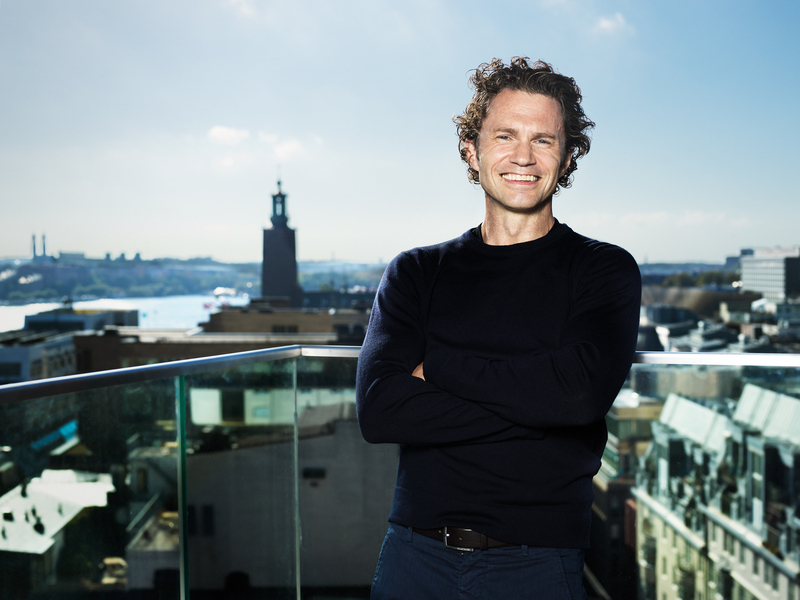 At the same time, we’re proud that ÅF is the best in the industry when Swedish engineers vote for the most attractive employer,” said Jonas Gustavsson, President and CEO. • EBITA excl items affecting comparability, was SEK 911 million (772). • EBITA margin, excl items affecting comparability, was 9.1 percent (8,4). • EBITA totalled SEK 911 million (683). • EBITA margin was 9.1 percent (7,5). ÅF can report strong earnings and growth for the third quarter. Net sales rose by 12.5 percent (13.4). EBITA excluding items affecting comparability was SEK 220 million (184), an increase of 20 percent. The corresponding EBITA margin was 7.4 percent (6.9). Cash flow remains strong. The global trends of urbanisation and digitalisation are fuelling demand for complex solutions and are consequently strong drivers for our business. Extensive, disruptive transitions are taking place in several sectors, and there is a substantial need for sustainable solutions. The general market trend and demand were good in the third quarter and remained largely unchanged compared with the previous quarter. The industrial market continues to perform well, with good demand in most of our segments. Investments in infrastructure and also commercial and public properties remain at a high level. The energy market is generally unchanged compared with the previous quarter, although there has been a slight increase in demand for ÅF’s services in the Nordic region. The market for digitalisation services continues to be good in all sectors. The Infrastructure Division is performing persistently well, with growth of 21 percent and good profitability. Our business in the building segment, with a focus on smart, sustainable solutions, continues to generate both strong growth and profitability. ÅF’s road and rail and architecture offerings have also seen good development in the quarter. The Industry Division is delivering stable earnings and focusing on boosting growth via both intensive recruitment activities and acquisitions. At the same time, work has begun on the strategic transition to increase customer value via more end-to-end projects both in Sweden and abroad. For example, we are seeing growing demand for end-to-end solutions in automation and robotisation. The Energy Division’s earnings and growth are reflected by a stable trend in the Nordic region but are being held back by pricing pressure and volatility on the international market. We are therefore carrying out a review of the energy business, with the aim of improving profitability and minimising exposures on the international market. The review also aim to adjust our business model in line with the ongoing energy transformation and to sharpen the focus on our core markets, to both boost growth and improve profitability. Due to the division’s new focus, we have acquired energy expert P.A.P in Denmark, which further consolidates our position in the Nordic region. The Digital Solutions Division is delivering strong growth of 21 percent and a persistently good level of profitability. Digitalisation in the industry and society at large is continuing at a fast pace, and the division has won several orders, including development of the next generation of production systems and smart solutions for factories. During the quarter, ÅF established an innovation and development centre in Chengdu, China, to increase delivery capacity to both existing and new customers. The implementation of ÅF’s strategy is progressing as planned, with a strong focus on developing our business model, increasing growth and strengthening our profitability. To further increase value for our customers we are launching the Future Cities initiative, which aims to develop sustainable cities regionally, nationally and internationally. As an engineering and design company with solid expertise in both societal development and digital solutions, ÅF can lead and facilitate this development. Denmark. The acquisition establishes ÅF on the Danish energy market and puts us in a good position for further growth. In Switzerland, the company LBP has been acquired. LBP specialises in infrastructure and electrical engineering, which increases our capacity for major project undertakings. Our robust employer brand is vital in attracting the right skills and delivering leading solutions. We are therefore proud to be named best in the industry in Universum’s Career Barometer, and to be given fourth place by engineering graduates voting for Sweden’s most attractive employer. We now have three quarters behind us in 2018 and net sales are at SEK 10,018 million, which is an increase of 9.4 percent on the previous year. EBITA and the EBITA margin were SEK 911 million (683) and 9.1 percent (7.5), respectively. We have acquired ten businesses so far this year. Our stable growth and strong cash flow pave the way for sustained profitable growth and increased value for all our stakeholders. We are devoted to continuing our journey towards achieving our vision of providing leading solutions for generations to come – Making Future. This information fulfils ÅF AB’s (publ) disclosure requirements under the provisions of the EU’s Market Abuse Regulation and the Swedish Securities Markets Act. The information was submitted for publication through the agency of the contact person set out above at 08.00 CET on 24 October 2018.